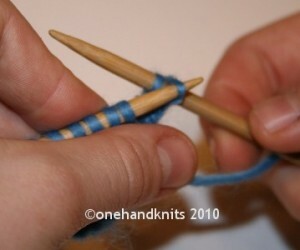 – easy, quick, neat, tight. 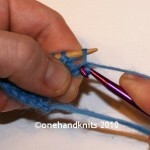 Best suited to areas that don’t require stretch, like shoulder shaping or pocket tops. 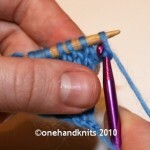 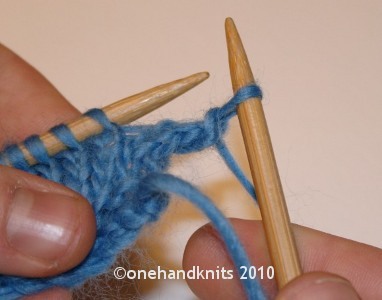 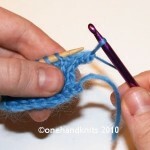 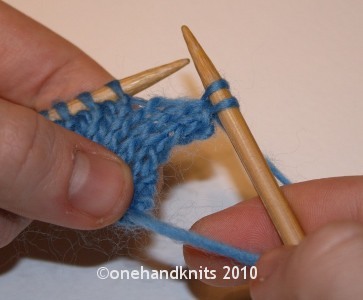 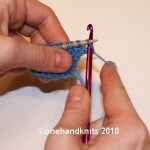 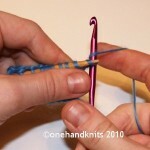 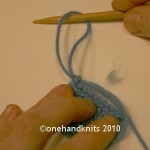 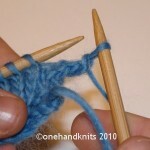 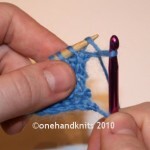 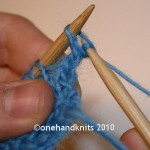 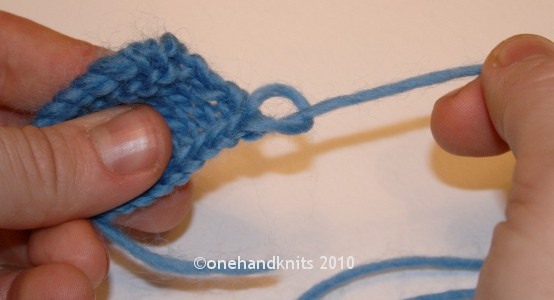 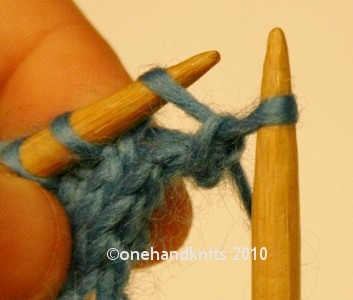 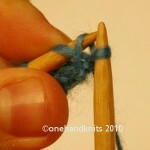 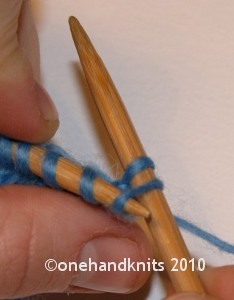 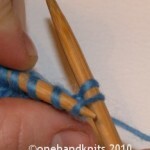 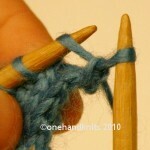 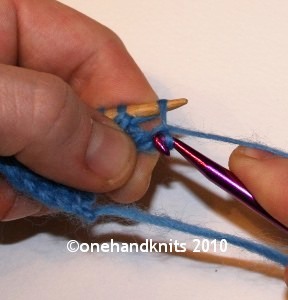 For a looser b/o change up to a larger needle – ideal for scarf ends. 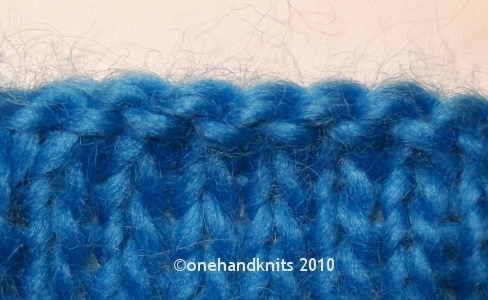 Work the first and second stitch (st) of the row, in pattern (i.e. 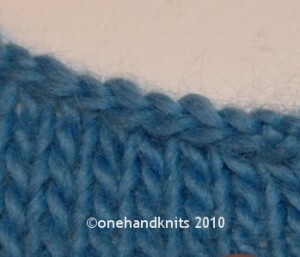 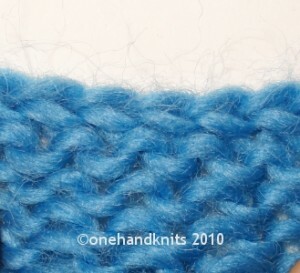 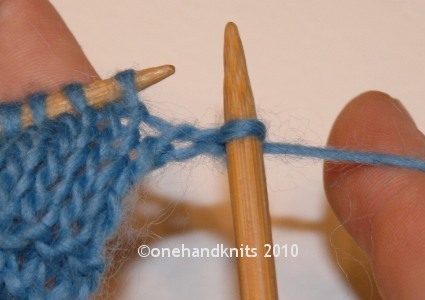 knit the knits or purl the purls), from the left-hand (LH) to the right-hand (RH) needle. Place the tip of the LH into the first st, now on the RH needle, from left to right and front to back, as if knitting it. 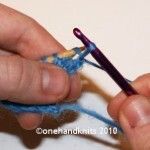 Lift the first st with the LH needle over the second st and drop it off both needles. 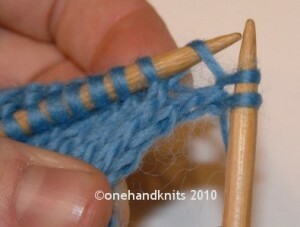 Work the next st in pattern so that you have two st on the RH needle again. 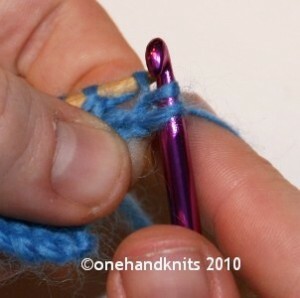 Repeat steps 2-4 until all the required st have been worked from the LH needle. 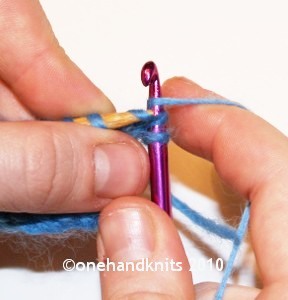 To b/o the last st remaining on the RH needle (not required if casting-off a central portion) remove the needle and enlarge the st so that the remaining yarn can be threaded through from left to right and pull tight. 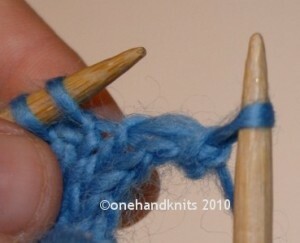 For an interesting gartered effect try knitting-off the purl side or purling-off the knitted side. 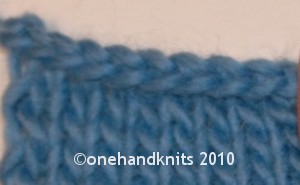 – easy adaptation of the above b/o, neat and quick but looser, maintaining the elastic tension of the pattern below – ideal for necklines. Work the first st from the LH needle as normal. 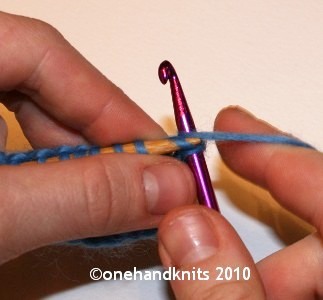 Work the next st from the LH needle but do not let it drop off. 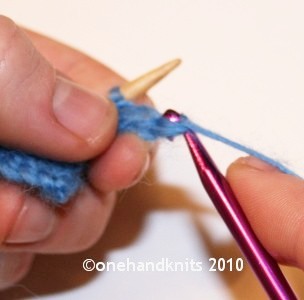 Use the LH needle to lift the first st from the RH needle over the second and drop it off. 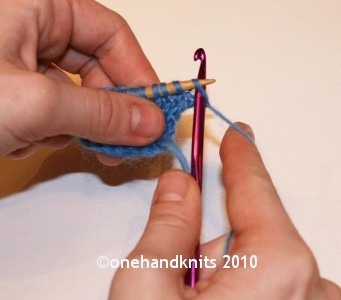 Now allow the last worked st on the LH needle to drop off. 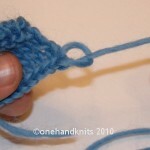 Repeat steps 2-4 and knot off the last st of the row as above. – very neat, flat, not too tight, can be used as a platform to work a fancier crochet border. 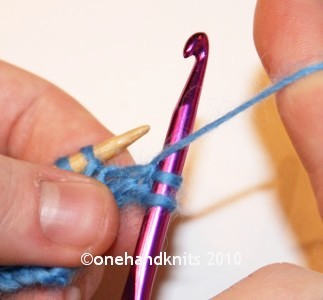 Using the crochet hook of the same or slightly larger diameter as your RH needle work a knit or purl in the first st as the pattern demands (like a chain st). 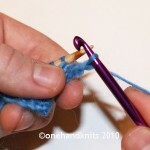 Work the crochet into the next st on the LH needle in accordance with the pattern. 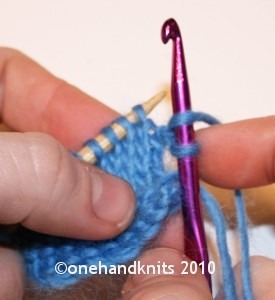 Wrap a loop of yarn and draw through both the st on the LH needle and the st on the crochet hook. Drop worked stitches from LH needle and crochet hook. 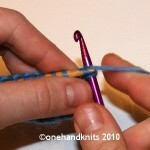 Repeat steps 2-4 until all st have been worked from the LH needle and knot off as above. 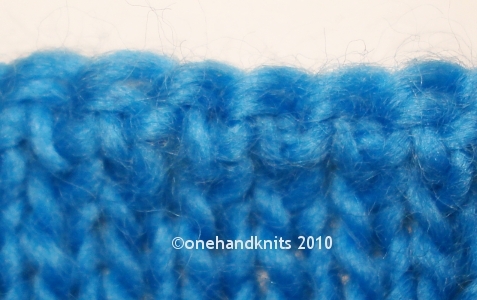 For a treble/ double crochet effect wrap a loop of yarn around the crochet hook before placing it into the next st on the LH needle. 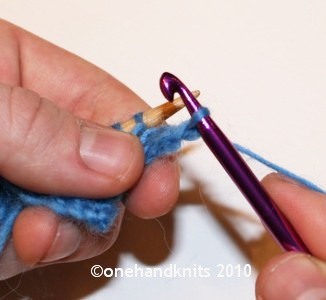 Pull a loop of yarn through the LH needle st and the first loop on the crochet hook. Drop the worked stitches from the LH needle and crochet hook. 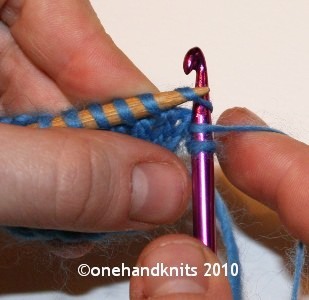 Wrap and pull a further loop through the two remaining stitches on the crochet hook. 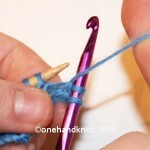 Drop the worked stitches so only one st remains on the crochet hook. Repeat steps 1-5 till the end of the row and knot off as before. 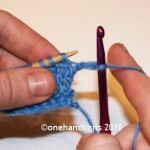 This entry was posted in Beginner, Knitting Tutorials and tagged basic, beginner, cast off, crochet, dc, double, elasticated, how to, instruction, knit, knitting, learn, single, st, stitch, teach, teacher, tr, treble, tutor, tutorial. Bookmark the permalink.